Thank you again for checking out my Legacy Blog. This is my first attempt at The Cinderella Challenge, so here is how the first week went. 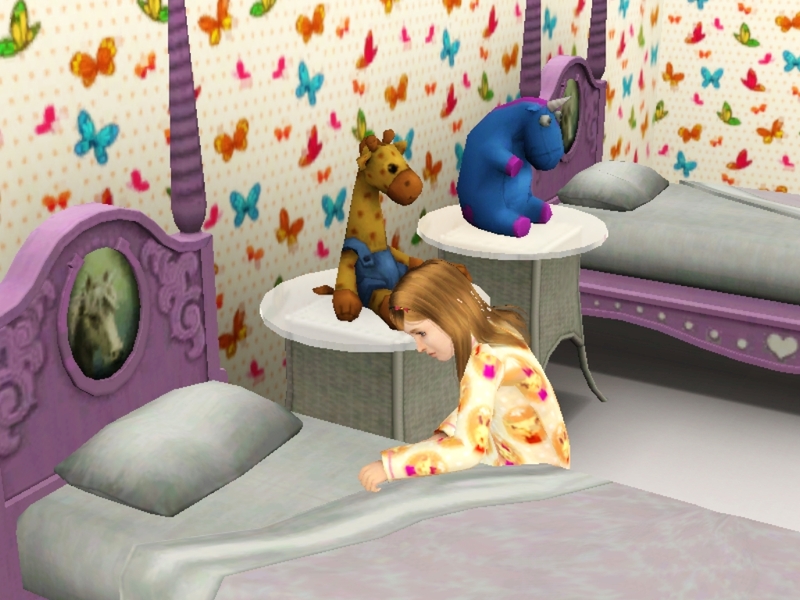 Cindy usually has just enough time before school to make sure all of the beds were made. I figured she should get a head start on all of the chores that she has to do. Dursella started her day with a giant tub of ice cream. After all it is the breakfast of champions. And while the three girls are at school I sent Missy out on the town. Riverview happens to be one of my favorite towns, so of course I had to start my legacy there. Missy has loads of simmolians and all the time in the world. The first stop was the movie theater. Then a trip to the spa for the works, and finally she had lunch at the Bistro. And Missy isn’t the only Evil out on the town. Lucifur wanted to explore the town for herself. Here she is “making friends” with some locals at the Cat Park. 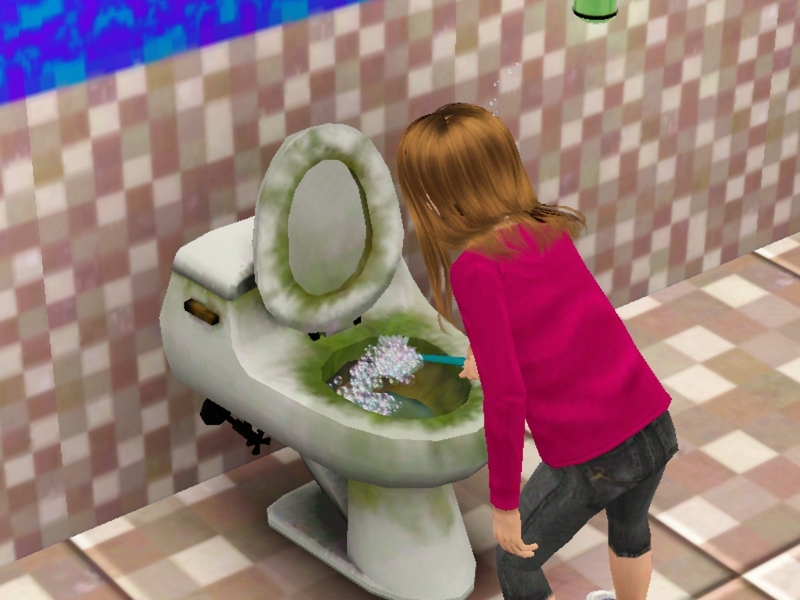 As soon as Cindy got home from school she had to start on her chores. She had already made the beds, but she still had to take out the trash, clean the dishes, then clean the sink and finally scrub the toilets. 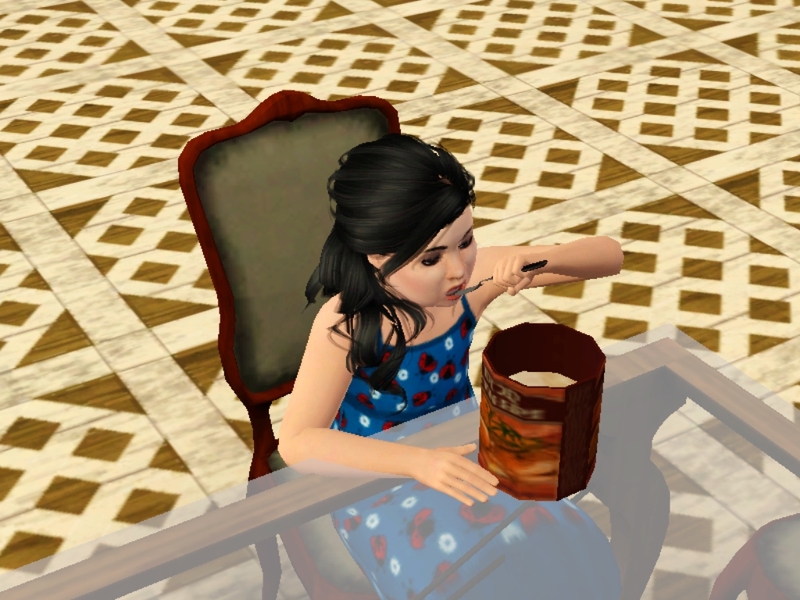 By the time she was finished with everything she had no time for her homework. And Anastasis brought home a friend. They did homework together. It was starting to look like Anastasis has herself a new BFF. That is until Lucifur came around. With Lucifur being so adorable the poor sim took one look into those big brown eyes and felt compelled to pet her. 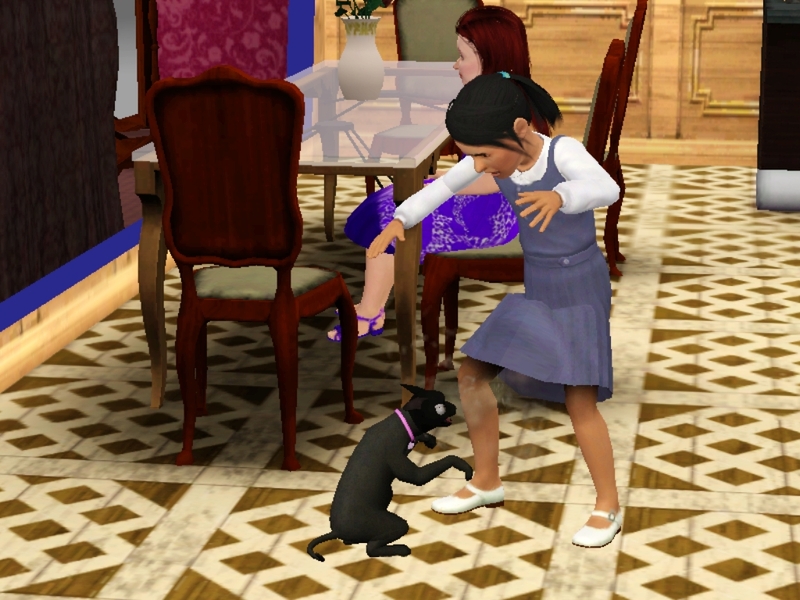 Once she was under Lucifur’s spell, the unsuspecting sim was mercilessly attacked. And thus ends my first week of the challenge. I actually did better than I thought I would have. Cindy is able to make up her missed homework during class. So, she has more time at home to take care of the chores. And I am having fun playing Missy and Lucifur. Plus, this is also my first attempt at making a blog. So, please bare with me as I try things out. Well, thanks for reading this. And have a great day, or night depending on when you are reading this. Looks like you’re off to a good start. Yep, hard to get that homework done when all you ever get to do is chores and more chores. Lucifur is a little brat and I hope Missy gets her comeuppance soon. Yay, my first comment!! *balloons dropping from the ceiling* Thank you. Yup, and as Cindy gets older she has more chores to do. Awe, thank you for the comment. 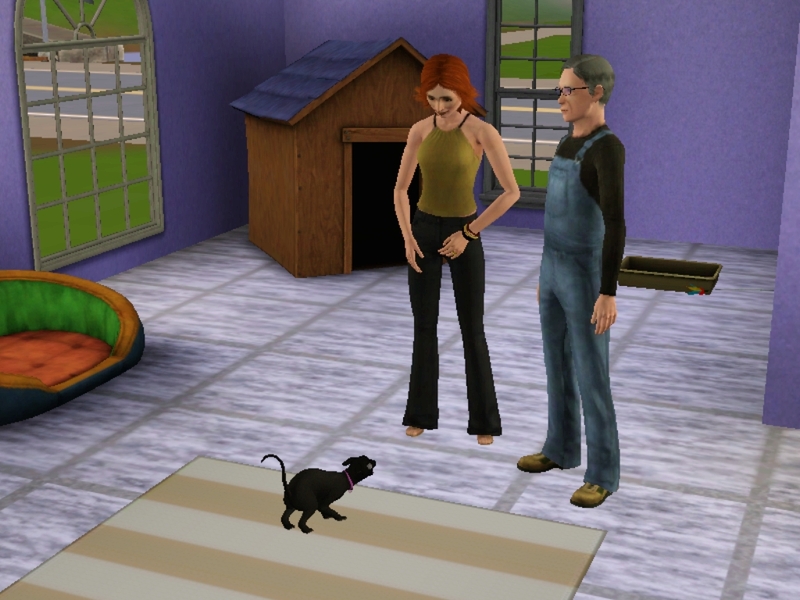 I am not a cat person in real life, but I LOVE playing Sim-cats! I found your blog from another blog. I am so happy that you took the time to follow me back and comment. Thank you!! I’m finally here! Wonderful start and very authentic with Sims limitations to the original story. Your characters look great, and I’m glad you are doing a more modern version. What a headache it would be otherwise! I will definitely read more. Welcome 😃 And thank you for the comments. Cats are generally evil things xD Poor Cindy.. and I know she’s in for a rough ride no doubt. She has a long way to go before she can find her Happily Ever After! But at least she has one week under her belt. Poor Cindy, I feel for her having to do all the chores. Her step-family doesn’t try to make it easy on her. and as she gets older her chore list grows. 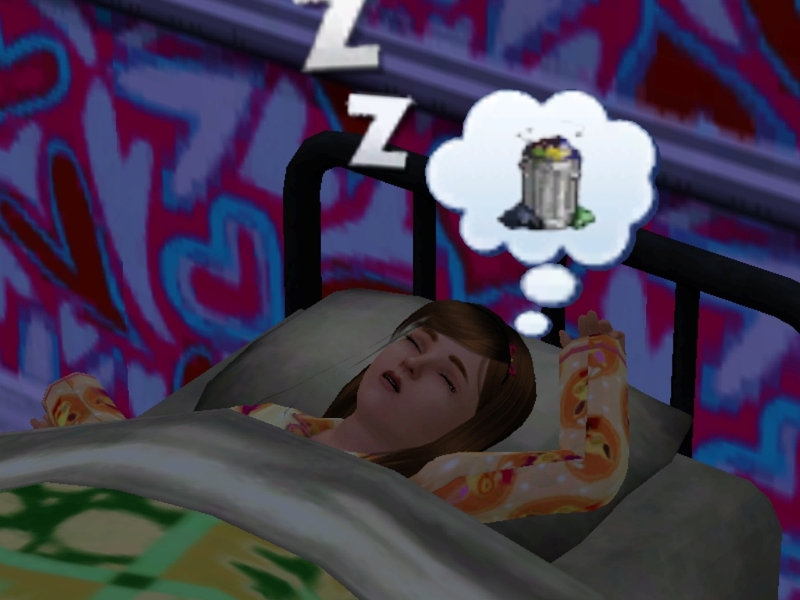 My turn to catch up – I’m looking forward to seeing what your Sims get up to 🙂 I have a soft spot for Cinderella stories, so it should be good. I hope you like it. I too am a sucker for all different fairy tales. Wasn’t sure to start with your legacy so I’m all the way back here in 2015! HAHA! Fairy tale legacies are one of my favorites, so I was very excited to see you were doing one. And Riverview is also one of my favorite EA worlds! Hi and welcome. 🙂 I hope you enjoy.